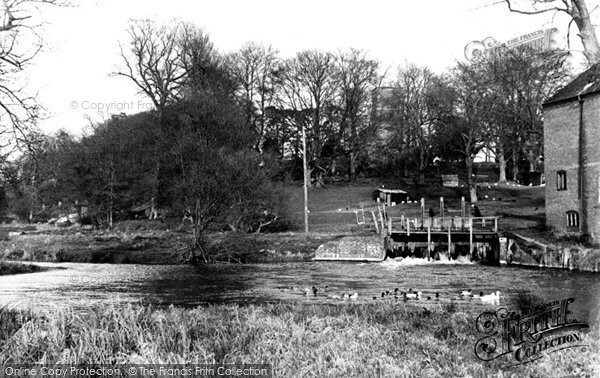 There don't seem to be very many old pictures available of Figheldean Mill Pond, so if you know of any that aren't on this page please let me know. This image is the photograph of the Mill that hangs, framed, in the Village Hall. These two images are from c1955. If you click on either of them, you'll be taken to the Francis Frith website where you can buy prints online. 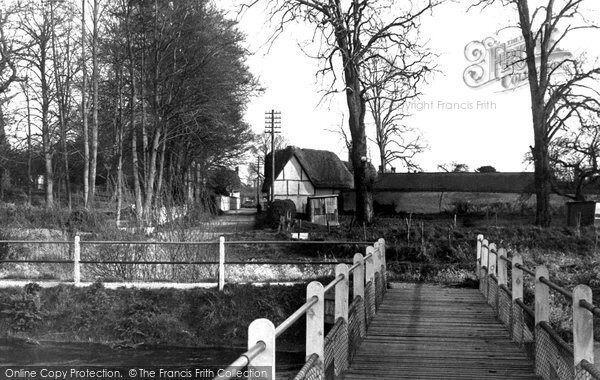 The second is also taken from the bridge, looking southeast back up Mill Lane.